Aditya Krishna, the Founder, Chairman and the Managing Director of the Saksoft Group, spearheads Saksoft’s growth across domains and geographies. He brings with him over 30 years of experience in the banking and financial services industry. 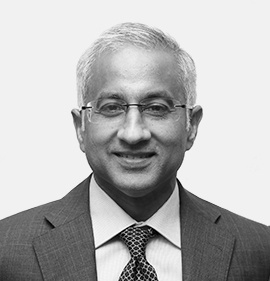 After a long career with Chase Manhattan Bank in New York and later with Citibank, New York, he relocated to India in 1990 as part of a four-member team to establish Citibank’s credit card business in the country and was also instrumental in developing the in-house software to run credit card operations. Aditya founded Saksoft in 1999 and drives the business development efforts. 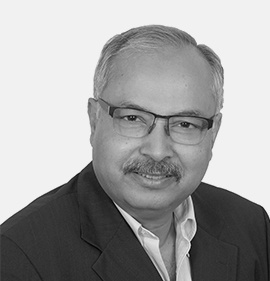 Amitava Mukherjee has over 33 years of rich and varied experience in the corporate sector. Amit spent a large part of his investment banking career at Lazards, a global Wall Street Firm, where he was a managing director and member of the executive management board. He subsequently was with Ambit Corporate Finance, as a shareholder, managing director and a board member. During his investment banking days Amit has advised several MNCs and large Indian Houses in marquee M&A transactions, both domestic and cross border. Amit is widely travelled, both on work and leisure, and have participated in several global conferences including the World Economic Forum at Davos. Currently he spends his time with NGOs in the social space and mentors youngsters as they chart their working life. Mr. Amitava Mukherjee is an Independent Director of our company and the Chairman of Stakeholder’s relationship Committee and Nomination & Remuneration Committee. He is also a member of Audit Committee and Corporate Social responsibility (CSR) Committee of the Board. Ajit Thomas is the Chairman of A.V. Thomas Group of Companies, an Agri Business Enterprise founded in 1925, with interests in plantations, tea retail, spice processing, natural extracts, and leather goods. Mr. Thomas graduated with a Bachelor of Science degree, from Loyola College, Chennai. Subsequently, he joined the family business and raised the Organization from a basic plantation company to a producer of high value, high quality agri products for the world markets. Mr. Thomas has served on the Madras Chamber of Commerce, Spice Board of India, and was the President of the United Plantations Association of South India in its Centennial year. Mr. Ajit Thomas is an independent Director and the Chairman of Audit Committee. He is also a Member of Stakeholders’ relationship Committee and Nomination & Remuneration Committee of the Board. 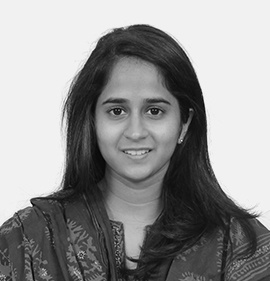 Kanika Krishna has an MBA in Financial Management from Pace University, New York, USA. Prior to this she has completed the Master’s program in International Business from the Manchester Business School, UK. She is also an alumnus of Stella Maris College, Chennai where she completed her Bachelor of commerce degree. Kanika Krishna joined Sak Abrasives Limited in 2012 and is responsible for the company’s growth in new markets and new areas. In the short time that she has been with the company, Kanika has grown the export business multi fold with focus on the UK and US markets. She has appointed manufacturer representatives and distributors in these markets to sell the company’s products and established a fully stocked warehouse for the company’s products in New Jersey, USA. Under her initiative and guidance the company has developed and established a new range of rice-poilishing wheels for the agriculture segment – a new area for the company. Kanika has revamped the sales organization by inducting lateral senior talent and investing in sales and product training for the team. She has implemented suitable reward programs and provided the necessary sales tools to the team to ensure success in growing the company’s business. Prior to joining Sak Abrasives, Kanika worked with Deutsche Bank in India and Merrill Lynch in New York. Ms. Kanika is a non-executive Director and a member of Stakeholders’ relationship Committee and Corporate Social Relationship (CSR) Committee of the Board. Mr. Babu has Master of Science (M.Sc. Tech), Applied Mathematics and Operations Research from National Institute of Technology Warangal, Master of Philosophy (M.Phil. ), Computer Science from Central University of Hyderabad, Executive Development Program, Business Administration and Management from Harvard Business School. 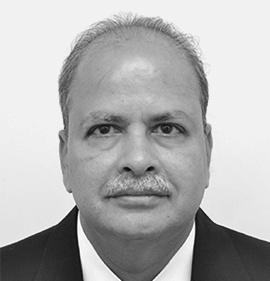 Mr. Babu has over 36 years of experience in the ITC Group. He held several strategic positions and was one of the key founder members of ITC Infotech India Limited (a 100% subsidiary of ITC Limited). In the last 15 years he held the positions of Senior Vice President and member of Management Committee of ITC Infotech and Chief Information Officer (CIO) of the ITC Group. Mr. Babu has also held several leadership positions in the IT Organization including Divisional CIO of the FMCG and Agri Based divisions respectively. Mr. Babu is an active spokesman in various industry forum championing the cause of Information Technology as a strategic tool for superior value creation, besides influencing the policy makers with thoughts, suggestions and actions that can help and further growth of IT Industry in the country. He had the privilege of being part of a select Industry team that interacted with the Government of West Bengal during the creation of the Information Technology Policy of the state in 2000 and enhanced and modified IT/ITES Policy of 2003. 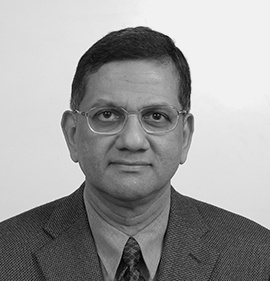 Mr. Babu is an Independent Director and a Member of Audit Committee of the Board.